Brandi Burkhardt (born June 25, 1979) is an American vocalist, actress and beauty queen. She grew up in Pasadena, Maryland but currently lives in Los Angeles. Burkhardt first hit the small screen in 1997, when she competed in the Miss Teen USA pageant as Miss Maryland Teen USA. The National Pageant was won by Shelly Moore of Tennessee. She later moved to New York to attend New York University, where she won the Miss Manhattan pageant, the Miss New York pageant and competed for Miss America 2000. Burkhardt performed vocal talent at that pageant, singing “Take Me As I Am”, which she would later record as Emma on the concept album for the film and national tour concert version of Jekyll & Hyde, Jekyll & Hyde: Resurrection. Her Broadway debut came when she was cast as Lucie Manette in the Broadway musical adaptation of A Tale of Two Cities, which opened for previews on August 19, 2008 at the Al Hirschfeld Theatre in New York and had an official opening of September 18, 2008. She was persuaded to audition for the show by star James Barbour, who was at a dinner meeting with her. She then played Sophie Sheridan in the acclaimed Broadway production of Mamma Mia. She began her run on January 27, 2009 replacing Allison Case. Burkhardt played her final performance on September 20, 2009 and was succeeded by Alyse Alan Louis. Nancee Borgnine: The daughter of Oscar-winning actor, Ernest Borgnine, Nancee Borgnine has grown up in the hottest world of motion pictures and television. Starting out as a intriguing actor’s agent managing the careers of over 150 noteworthy performers, Nancee soon spread her wings to work as a film producer, casting director and production manager. During her years in production, she branched out and created a beverage – “Borgnine’s Coffee Soda” – which quickly found its way to the shelves of retail outlets around the globe. It was in the manufacture and production of her product that Nancee entered the world of public relations and marketing – singlehandedly managing all critical aspects of bringing her successful product to the public. For the past decade, she has utilized her extensive background as a highly regarded entrepreneur and singular Hollywood insider to produce special events and celebrity-gifting suites that enable companies of all sizes to put their products into the hands of today’s most loved stars. The Borgnine Emmy Celebrity Gala: The Borgnine Primetime Emmy Event hosts current nominees to attend their annual EMMY event in addition to past nominees and winners. Some of the extraordinary celebrities who come to our events include Emmy nominee: Joe Mantagena (Criminal Minds), Hector Elizondo (Last Man Standing, Pretty Woman), Gage Golightly (Teen Wolf), Julie Bowen, Ashley Argota (Nickelodeon), Emmy nominated Tony Dennison, Emmy Winner Ed Asner, Monica Potter, in addition to members of the cast of Big Bang Theory, Agents of S.H.I.E.L.D., Modern Family, Criminal Minds, Parenthood, The Middle, Burn Notice, The Goldbergs, etc. The Borgnine Group only accepts the best-of-the-best sponsors. We have eminent celebrities from all facets of the entertainment industry who come to our events knowing that they will be seeing and receiving all kinds of exciting products. Some of the companies who have been a part of our events are: MXI Corp, Xocai Healthy Chocolate & XO-Lifestyle-Worldwide. Naomi Howison is a leader and executive with XO Lifestyle Worldwide (formerly MXI Corp and Xocai Healthy Chocolate). She spends most of her time in Southern California, near the beach, when she is not home in Texas. Naomi has raised 3 marvelous children as a single parent and they have blessed her with 5 precious grandchildren that fill her life with joy. XO Lifestyle Worldwide (Xocai) has made it possible for me to help motivate others to reach their goals. “I’m enjoying life and having fun living my dream of owning my own outstanding business … Having my own residual income business gives me financial and time-freedom,” says Naomi. Naomi’s goal is to help you get healthy through (1) Xocai raw chocolate, (2) Xophoria anti-aging skin care and (3) SkinHealix cosmeceutical treatments. Let’s Connect Today! This entry was posted in Healthy Chocolate on October 21, 2014 by admin. When Bill O’Reilly talks, people from all around Annapolis Maryland listen. 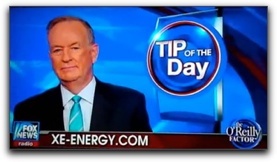 Recently on Bill O’Reilly’s Fox Television Show, Bill O’Reilly mentioned our revolutionary product Xocai Energy Drink. Xe Drink is what has helped Bill O’Reilly kick his sugary soda pop addiction and it can do the same for you. Xe Energy Drink from Xocai is the world’s first Healthy Energy Drink (…and it doesn’t taste like battery acid!). As the category creator and world leader in healthy chocolate, the true vision of Xocai is to transform and improve individual lives worldwide through it’s exclusive healthy chocolate products. One such unique product is XoVita, a proprietary high-antioxidant blend of cacao, acai berries and blueberries (an ingredient combination exclusive to Xocai). This proprietary and exclusive high-antioxidant blend is utilized in all of Xocai products and provides a wide-ranging class of nutrients, vitamins and health benefits. Xocai’s products consistently achieve the highest ORAC* scores in the industry and are among the most flavonoid-rich products available in the Annapolis Maryland area. This achievement includes XoVita. Given the recent attention to antioxidants in the media, medical & nutrition industries, it is important to know how antioxidants affect your health and well-being. Independent studies have shown that antioxidants in foods have the ability to counteract and fight the damaging effects of free radicals in the body. Xocai Energy Drink contains a free radical-fighting powerhouse: XoVita. Click here for the PDF ‘Xocai Xe Drink Product Overview and Nutrition‘. This entry was posted in Home Business on October 17, 2014 by admin. MXI is a successful multi-level marketing company founded in 2005 that develops and sells high antioxidant healthy solid chocolate products, weight loss products, energy and longevity products, and skin care and beauty products in the Annapolis Maryland area. MXI is in its ninth year of business in Annapolis Maryland with total sales of over $350 million. MXI’s home office is located in Reno, Nevada. MXI has established business operations in Annapolis Maryland in the United States, Canada, and 28 foreign countries with a database of approximately 260,000 distributors worldwide. MXI ships products to its distributors in Annapolis Maryland from its regional warehouses in the United States, Australia, Canada, Hong Kong, Malaysia, Netherlands, South Africa, and Sweden. MXI distributors in Annapolis Maryland purchase MXI products for resale or personal consumption. MXI has a proven track record in Maryland of consistently developing and marketing cutting edge high antioxidant cacao based products. MXI’s most recently launched product, Xocai XoLove Bites, continues the cutting edge trend with more antioxidants per gram than any other MXI product. MXI continues to plan future high antioxidant products to distribute to the Annapolis Maryland area. MXI has and continues to have its products routinely tested by independent third parties. The Nutritional Facts printed on MXI product labels for products sold in Annapolis Maryland are based upon the results of analysis performed by independent testing organizations. The Nutritional Facts for the solid chocolate products (Nuggets, Xpower Squares, Omega Squares, Xobiotic Squares and XoLove Bites) are provided by CANTEST, Canada’s leading analytical laboratory. The Nutritional Facts for other MXI products are provided by Miller Laboratories, a chemistry and microbiology testing laboratory in Ogden, Utah. The antioxidant content (ORAC value) of MXI products are likewise determined by independent testing and analysis performed by Brunswick Laboratories, a leader in antioxidant science located in Massachusetts. Many MXI products participate in Brunswick Laboratories’ more rigorous Certified Program and are authorized to carry the seal of Brunswick Lab Certified ORAC testing. MXI is and has always been a debt free company. MXI is a Nevada corporation in good standing. Click here to read the official legal response from Xocai. This entry was posted in Healthy Chocolate on October 9, 2014 by admin. Why Does Direct Sales Make Sense For Annapolis Entrepreneurs? Hi! Welcome to my Annapolis entrepreneur blog. Are you looking for a home business opportunity in Annapolis? Owning a home business provides numerous benefits including independence, flexibility, and control of your own destiny. Direct sales is one of the best ways for Baltimore folks to own a small home business without the risk and expense of a new start-up. I launched my own Entrepreneur Marketing business in October 2006. I have found that the direct sales business model fits my personality and lifestyle. Serving Baltimore and online customers individually is the best way to introduce them to Entrepreneur Marketing, Entrepreneur Tips and the entrepreneurial opportunity. 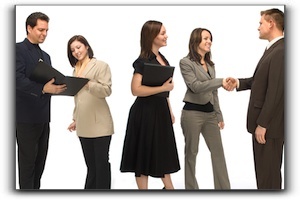 Social media makes to super easy to reach potential clients here in Annapolis and in cyber space. 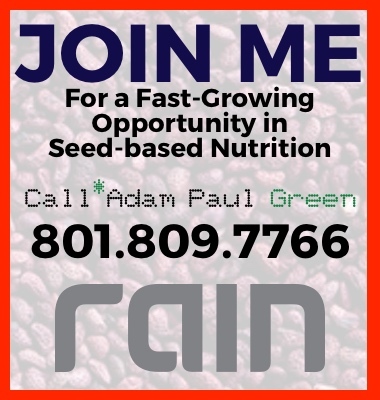 If you want to learn more about the fantastic Entrepreneur Marketing business opportunity, call or email today.